The weather has been really promising this side of the world! With longer days and loads of sunlight – spring is almost here! !Bring it on Baby,I have been shamelessly bookmarking and filling up online baskets to gear up for the season! I am so ‘ready’ to get out of my parka! With all the cold, I have been a lazy lass and much home bound, which meant I was soaking up all the award shows on the telly, cooked up, and fed my poor wintry soul-which led to the discovery of this amazing breakfast pot! This one, I promise will be the talk of the office, you will get the ‘green eyed look’ for sure and as critics would put it ‘a well-rounded super -duper breakfast’! Dull porridge for breakfast is going to be a thing of the past! PS: I haven’t put exact numbers ,you can go free form with the amount of fruits and nuts ! Cook the oats in some milk (alternatively you can even soak it in milk overnight).Chop the apple finely and add it to the oats and mix it with the juice of an orange and divide this equally into a few glass jars. Top it with some blue berries followed by a good layer of yogurt! Add the chopped mango and some dry fruits. I used walnuts and pumpkin seeds! Hey, presto-it is as easy as that. You can do this the night before and leave it in the fridge! With the glass jars –it is a ‘pick me and go’ breakfast –perfect for the early morning commuters! Are you a breakfast lover? Do you have a favorite breakfast recipe? Until Next time! Take care and stay healthy! Without a shadow of doubt, West minister is one of my favorite places in London! Beyond the many steps at the West Minister station, awaits the most charming bit of the city! Be warned of selfie sticks and bustling people and get ready to be overwhelmed and to be inspired –who knows it can even be Love at first sight-with the city winning over you! The mighty river Thames ,cinematically popular West Minister Abbey , ‘Bond ‘ perfect BigBen, ‘Majestic’al London eye are all fine examples of ‘timeless classy history’ meets’ feisty progress’.As I write, I realize , in a way that’s what London truly is and represents - a perfect matrimony of bygones and contemporary and I cannot think of another befitting brand ambassador for London. Fancy visiting her majesty’s stately home or witnessing the spectacular change of guards,You can even have a nautical affair – Jump aboard one of the many river cruises and experience the murky Thames, the same old waters that’s played witness to maritime tales and adventures spanning decades. With gardens galore, tunnels, nooks and cranny’s awaiting to be discovered, I Promise,you will have a good time for sure! So here’s bringing you my Love- London! You can never get enough of the Postcard perfect Telephone booths and racing buses. As for my outfit details -Loving my Tory Burch buy, it’s a perfect oak shade and goes perfectly with work wear and with detachable sling it can double up as an evening clutch as well! I am sporting a black corduroy skirt from Zara, a little black skirt can open up a world of wardrobe options :) Loving this button up skirt and checkered skirts are so timeless!This black and white one from Zara can be perfect for work! 50’s knit cardigan is a total rage at the moment! Liking the range from Boden, they come in a whole range of colors! Check out this dreamy checkered cashmere sweater from J Crew! Roll up sweaters and turtle necks are a total must haves when it comes to winter wardrobe! Love this and this! Are you into checkered skirts and 70’s style sweaters? We would love to hear about your wardrobe favorites this season!! Whats your favorite place in London! Crazy Stupid Love-ain’t it ! I am a believer and a hard-core one at that! Love means a zillion things to each of us and there is no rightful reason to not celebrate! Even if your ‘knotted up marital’ ly ( lol) ,jovially single, if you’ve lost your way in love, or hoping to get lost and find some –lets join in the festivities and have some fun! Featuring all our favorite picks this season! LOVE Bugged or Buggered, these heavenly chocolaty treat from Marks and Spencer is just the perfect Valentine’s Day treat to tuck into! There is no denying the power of an awesome bubble bath! Tastefully Romantic is what I would call, Chanel No5 Foaming bath! Be ready for some dreamy, lovey, gazey long stares all night long with this amazing grapefruit and ginger scented candles from M&S!! The range is quite epic and alphabet candles are really classy! Ladies, this one is all about STRATEGY! Now that your smelling like a million dollars and looking like a zillion dollars!Come on- Join in the fun this season- Sharpen those cheesy one liners and embrace LOVEEEE!! Happy Monday! I hope you had an amazing weekend!! Sorry for going a bit ‘MIA’ on you :) I was struggling with my leg last week, it was all swollen up and a few days of total rest has made it better! Ian, my 3-year-old, was all sweet and mature about the whole thing! ‘Mama,You can hold my hands! !’ said my little brave soldier when I was struggling to walk! It amazes me that he is growing up all fast and will be soon joining school! 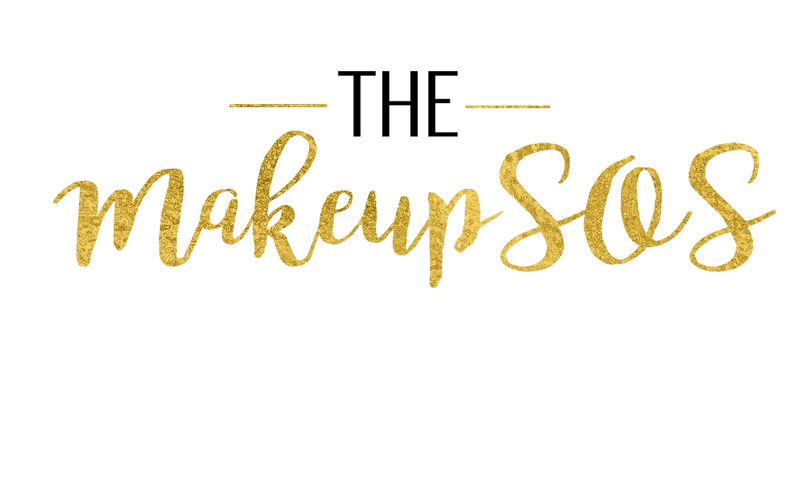 Today I am featuring my current go-to makeup products, I have been using these on a daily basis. Gives me a natural look and absolutely perfect for work,party,school run etc. Product’! Its been my favorite for a while now! It layers up beautifully on your face, blotting away excess oil and hides blemishes and forms a good base! For my foundation ‘Nars Sheer Glow Foundation’ in Tahoe shade is divine! With a medium to buildable coverage, not only does it evens out your skin tone, but leaves it super hydrated all day long! Its said to have turmeric extracts, which improve your skins brightness, radiance and texture giving the skin a luminous glow! I use my ‘Nars Creamy Concealer’ in caramel tone, under the eyes and to cover any blemishes and redness. It lasts a long time and crease free as well! To set the foundation I use ‘MAC Mineralize Skin finish’ in medium dark. With a little buff of the powdered product you are good to go! It leaves you with a lovely finish, that’s super natural! As for highlighting and contouring I use ‘Charlotte Tilbury’ Filmstar Bronze & Glow face sculpt and highlight. You can slim, sculpt and highlight your features with this fab product! ‘Plumfoolery’ by MAC is my favorite powder blush out there! There is a whole range of shades you can choose from! It’s a case of little goes a long way and have been using this one regularly! Coming to eyes I always start with my brows, I use ‘Brow whiz’ in medium brown from ABH, This ultra fine pencil gives your brows this richer fuller feel! For my lower lash line, I use ‘Teddy’ eye pencil from MAC and ‘Kat Von D tatoo’ liner of the upper lash. For dramatic eye looks my all time favorite is the ‘Tamanna Palette from Anastasia Beverly Hills’. I finish off my eye makeup with ‘Urban decay perversion mascara’. When it comes to lipsticks, I am not the kind of person who sticks to seasonal trends alone! Over the last few weeks I have been switching between ‘Girlactik’ matte lip paint in Posh shade with MAC soar lip liner(not pictured here) and ‘Tom Ford Negligee’ lipstick. So that’s it folks! We would love to hear all about your go-to products! Do you have a favorite concealer you are obsessing about? Until Next time! Stay Pretty and Buff up! !